Instill a love for the game. 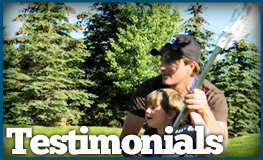 Click here to learn more about our coaches. 212 will always have a strong emphasis on consistent, quality training. 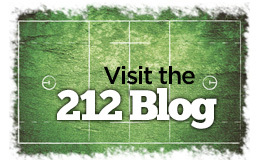 If the 212 staff determines that a player’s skill level exceeds his age group, the player will be allowed to play in an older age group with permission from 212. Click here to view/subscribe to the 4-8 grade training calendar. Click here to download the 212 smartphone app. No Training First Week of July. In order to accommodate as many people as possible and remain efficient, group sizes will be limited to 5 players of similar ability per private session. Indoor Lacrosse: November- December (212 training members receive priority registration). Travel, Food, and Lodging: Each family is responsible for travel, food and lodging expenses associated with tournament play. 212 Lacrosse has a strict No Refund Policy. Please review our policies at your convenience and consider purchasing the third party insurance offered by Registration Saver, an AIG product. Scholarships available to those in need. See “policies” below. 212 encourages parents to be involved in their children’s program participation. Annual reviews are advised. Please write anytime to schedule an appointment. Ensure that your athletes are eating well, hydrated, and getting enough sleep. Encourage 4-6 hours of wall ball per week. Arrive to all practices and games early. Pack a lacrosse bag with all necessary equipment, jerseys, etc. the night before events.